President of Siberian Branch of the Russian Academy of Sciences from 2017. Education: Moscow Physical and Technical Institute. Academician since 1997, Department of General and Technical Chemistry (Chemistry). 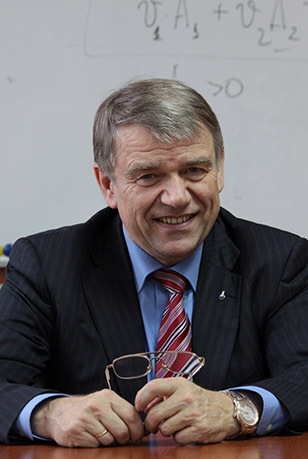 Director since 1995 to 2015 Boreskov Institute of Catalysis of the Siberian Branch of the RAS (Novosibirsk). ​Scientific Adviser since 2015 to present Boreskov Institute of Catalysis of the Siberian Branch of the RAS (Novosibirsk). In 2016 research advisor at the Institute of Catalysis under the Siberian Branch of the Russian Academy of Sciences academician Valentin Parmon was awarded the Global Energy Prize.